Cyber Scotland Week, a joint initiative between ScotlandIS and the Scottish Government, will take place between 22-28 April 2019. 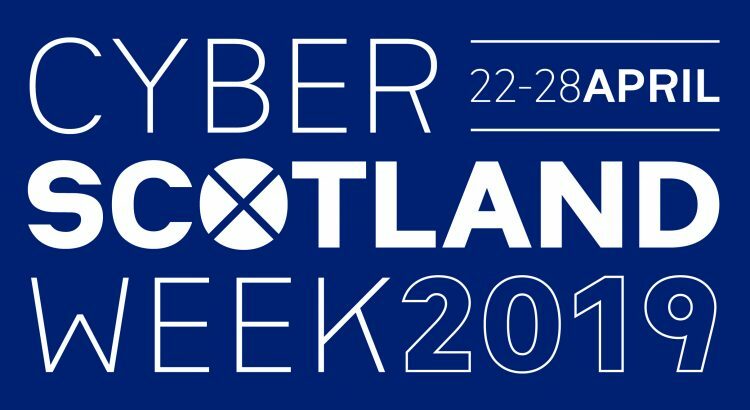 A first of its kind for cyber in Scotland, Cyber Scotland Week draws together events across Scotland to showcase the innovation taking place across the sector, while raising awareness of good cyber resilience practice and promoting a career within the industry. The Week will bring together influencers, experts and the next generation of talent to explore and learn about the innovation and challenges in this fast-changing threat landscape. One of the headline events taking part in Cyber Scotland Week is the UK Government’s flagship cyber event, CYBERUK 2019 which will take place for the first time at Glasgow’s SECC on 24-25 April. CYBERUK 2019 will bring together leading international cyber intelligence and security experts providing a platform for business leaders to learn how to protect and secure their organisations’ information, finances and reputation in today’s ever-changing cyber landscape. I am pleased to announce the first ever Cyber Scotland Week which will see people of all ages and backgrounds come together to share and collaborate on how to become more cyber-resilient. Join the conversation on social media (#CyberScotWeek19 and #StirCyberSec). Help us spread the word about Cyber Scotland Week!